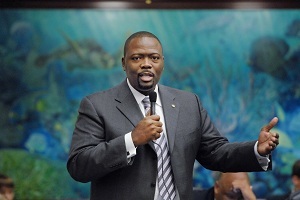 UPDATED 8-27-14: A Florida Circuit Court Judge has ruled that the Notary mistakes made are enough to disqualify Rep. Reggie Fullwood of Jacksonville from the November election. And because Fullwood was running unopposed, the state will have to schedule a special election, which could costs taxpayers more than $200,000, according to local media reports. All it took was a few mistakes by two Notaries to get an incumbent state legislator kicked off the ballot for the November election. And because Rep. Reggie Fullwood of Jacksonville, Florida, was running unopposed, it could cost the state more than $200,000 to have a special election, according to local media reports. Fullwood’s issues began when he filed his candidate’s paperwork — which included a jurat — with the Division of Elections in the state capital of Tallahassee. Later that day, he got a call from the Division to let him know that the Notary had forgotten to sign the jurat. The next day was the filing deadline. He completed the paperwork a second time and had a second Notary execute the jurat. About 10 minutes before the deadline, he got another call from the Division of Elections informing him that the second Notary had not marked the space saying how the politician had been identified. By then, Fullwood was back in Jacksonville and there was not enough time to return to Tallahassee. So for the time being, nobody was going to be on the November ballot for House District 13. Fullwood has filed a lawsuit challenging the Division’s actions. If he loses the challenge, Duvall County will have to hold a special election to fill the seat. Even if he wins, Fullwood and the state will have to bear the legal costs. Mistakes with notarization are a common reason for challenging candidate paperwork, ballot petitions and other election-related documents. The simplest mistake can have serious consequences. National Notary Association Vice President of Legislative Affairs Bill Anderson said a journal entry likely would have helped in Fullwood’s case. However, Florida does not require Notaries to keep a record of their notarizations. “In most journals, the Notary would record what type of identification the Notary used to identify that signer,” Anderson said. If the Notary in this case kept that kind of information, that record would be able to show how the signer was identified. In general, Anderson noted that journals also would help the governor’s office, which oversees Notaries, to check into complaints made about Notary misconduct. A measure that would have required Florida Notaries to maintain a journal failed to pass the state legislature this year. The Bill’s sponsor, Rep. Darren Soto of Kissimmee, said he plans to reintroduce the bill in the next session. Although MI doesn't require a Notary journal, for years I have recorded all my notary work with proper ID and clients signature. I strongly support that all states require a Notary journal just as a notary must have an annual background check. To Gay Hollin--just a note to your statement. California requires Notary journals, but does not conduct an annual background check. Background checks are only done each time a commission is requested. I am a Notary in Ohio which I believe requires a journal. I find the journal an easy way to track my mileage for auto expenses at tax time. It appears to me this was meant to be. We have enough trouble with politicians; do we want one who pays little or no attention to details? Mr. Fullwood is responsible for this fiasco because he didn't bother to check his own paperwork before turning it in, then he does the same thing the second time. Sure the notaries were careless, and will probably have their commissions suspended, but it is the persons responsibility to make sure their paperwork is correct. This is a lawmaker too, who really wants this type of careless irresponsible person representing them. I have used a notary journal since 1992. I also take thumb prints.